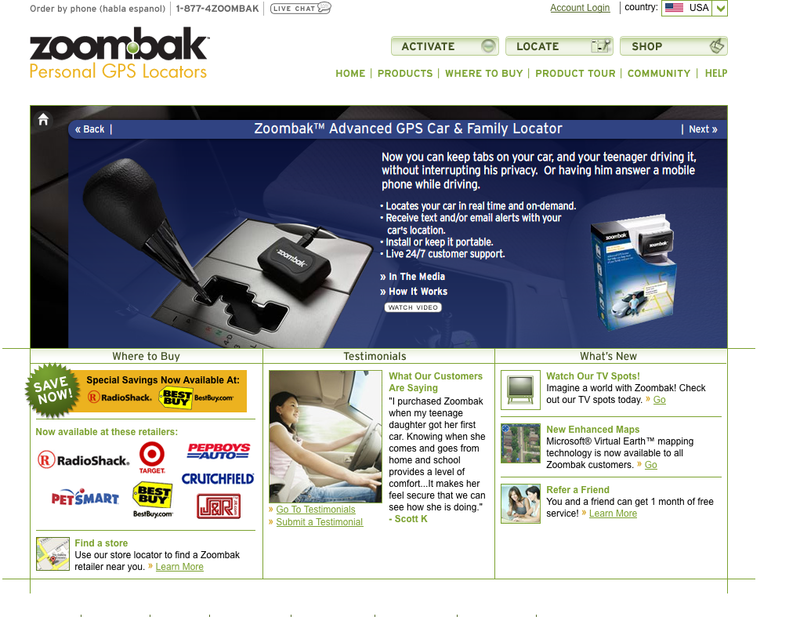 Another sad chapter in the global money meltdown story: Zoombak – which provides lightweight cheap personal GPSs – is closing its UK consumer business. I went to the product launch a month ago at London’s Haymarket hotel. These things are the size of a match box and you can (or could until now) attach them to your dog’s collar, kid’s bike or you car while you’re away. We watched as the team live-tracked a fleet of taxis around the south-east on google maps. There were a couple of cute dogs in attendance at the champagne reception – they were mostly interested in the canapés – and we tracked their walkies around Pall Mall. It was good fun and the team talked up a storm. One chap told me how he had one on his young daughters bicycle, and set up an ‘inclusion’ zone around her school – so he knew when she arrived safely each morning, and when she had set off for home. The range of potential business and personal usage was vast. Estate agents, hauliers and taxi/fleet firms were among the sectors interested in the product. You could monitor your car’s security from the other side of the world – especially if your teenage kids are tempted to go for a spin while you’re away. Beloved or valuable dogs were also kept under close satellite surveillance. There were hopes that one day a model would be small enough for cats. I thought the whole concept had great potential, so it’s sad to hear today that the UK operation is being closed down. Zoombak‘s European vice-president, Barry Wilson, said: “When your product category is effectively a new market area, major investment is required to create and develop this market. “At some point there has to be a return on that investment. Given these difficult trading times and low overall consumer confidence, it is almost certain we will not be able to generate a return on the proposed UK investment within an acceptable timescale.